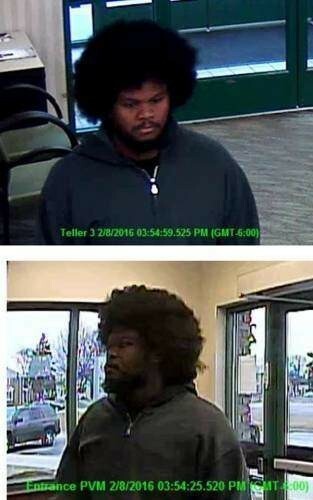 Park Forest, IL-(ENEWSPF)- The Park Forest Police announced that they have a suspect in custody regarding the bank robbery on February 8, 2016, at First Midwest Bank. The suspect shown below in our media release on February 8, 2016, regarding the robbery of First Midwest Bank in Park Forest, has been taken into custody following an investigation by the FBI – Federal Bureau of Investigation, Park Forest Police Department, and Chicago Heights Police Department. More information will be released pending finalization of the investigation. We would like to thank everyone who shared this information and who assisted in remaining alert for this suspect.